Welcome to the European capital of football, Madrid. In two of the past three seasons the final of the Champions League, has been contested by Madrid’s headline acts Real and Atletico Madrid. 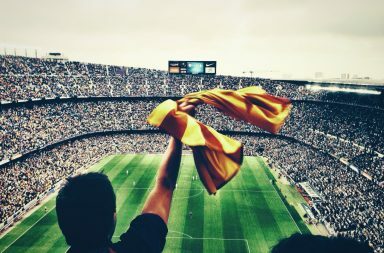 These two clubs sit bloated and gorged with money and adoration at the top of the sporting table in the Spanish capital; leaving no elbow room at the banquet, just a few carelessly dropped crumbs on the floor, for other local football teams and sports clubs to squabble over. 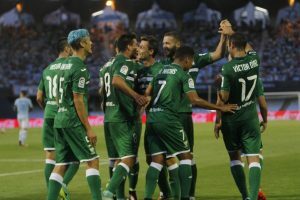 But as luck would have it we now have a new club recently promoted to La Liga, CD Leganés, combined with last season’s relegation of Getafe and Rayo Vallecano to the Segunda division, Leganés will be the only provincial club in the capital that will go toe to toe with their illustrious neighbours this season. Club Deportivo Leganés, reside in the town of Leganés – population 185,000 on the outskirts of central Madrid, 11 kilometres south to be precise. A town where you will find a street named after Australian rock band AC/DC. To say their promotion to Spain’s top tier is a surprise would be an understatement. In the 88 years since the formation of the club, it is this season, for the first time, they can say they are a La Liga club. 88 years of waiting, good things come to those who wait, right? It goes without saying that Los Pepineros (the Cucumber Growers) – this quirky nickname comes from the region’s agricultural past; where growing vegetables especially cucumbers was the most popular way locals made a living – have been, until this season, competing in Spain’s lower divisions. In fact it wasn’t until 1993 that Leganés first made their bow in the Segunda division. This promotion to La Liga was not supposed to happen, not right now anyway. Having spent the vast majority of their time in the Segunda B and Tercera (fourth division), where most clubs are of an amateur level, the rise of Leganés over the past couple of years has left Spanish football and quite honestly themselves, rubbing their eyes in disbelief. 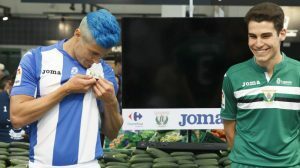 Traditionally, their local rivalry has been with Getafe, until Getafe shot up the Spanish footballing pyramid in 2004, leaving Leganés to play their derby against Getafe B, whilst the first team were competing in two Copa del Rey finals and playing matches in Europe. The 2003/04 season saw the club hit new lows, in what should have been a new prosperous era for the club. Argentine music producer Daniel Grinbank completed the takeover of Los Pepineros in a deal, which, saw them briefly being talked about outside of Leganés for the first time. After the promise of heavy investment on and off the field, Grinback started to remove the vast majority of Spanish players within the squad. Replacing them were 15 Argentinians, including Jose Chamot who represented his country of 43 occasions – he was to make just one appearance in a brief spell – the rest were just unknowns. For supporters of Leganés, this was everything that they did not want to happen. 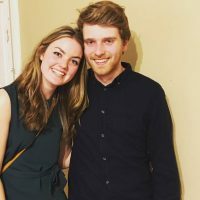 Their club’s identity was being ripped apart. Boycotting games began to take place as part of a protest against the regime, on matchdays there would be hardly a spectator in sight. An act that is often threatened by disgruntled English fans, but very rarely happens. Unsurprisingly, by January, the unwanted Grinbank abandoned his sinking ship, leaving the club in financial ruin. Players were now on wages beyond what Leganes could afford. As you would expect, relegation would follow and it would take some time to clear up the mess. After 10 years in Segunda B, in 2014, they made their return to Spain’s second tier. Two years later the smallest club in La Liga – even smaller than the Basque’s, Eibar – will be welcoming Real Madrid to the Estadio Municipal de Butarque which holds just under 11,000 spectators. Since his appointment as coach in 2013, Asier Garitano has led this club to two unlikely promotions in just three years. Having finished 10th in the Segunda in the 2014/15 season, Leganés were happy enough just to be a second division club. This view was further compounded by winning just two of their first twelve games, in what would be their improbable promotion season to Spain’s top table. After this sticky start they got their act together, a win at Mirandes on the last day of the season and footballing immortality would follow. Pablo Insua’s winner would see them make their own piece of footballing history. The division’s top scorers (59) with the second meanest defence (34). No-one could say they didn’t deserve it. Helping tighten up the defence has been Argentine club captain Martin Mantovani. The man who has dyed his hair to the club’s colour of blue in recognition of their achievement. Since joining the club – initially on loan – in 2013, he has been somewhat of a rock for the club. Having played in Atletico Madrid’s B team alongside Spanish internationals David De Gea and Koke, he left the club in 2010 without making an appearance for the first team. After toiling for years in Spain’s amateur divisions, it wasn’t until Leganés’ 2014 promotion to the Segunda that Mantovani could finally, for the first time call himself a professional football player, aged 30. The rest you can now say is history. As well as Mantovani, forward Alexander Szymanowski is undoubtedly another star of this team. It is rather ironic that they are both from Argentina, given the club’s not so happy past dealings with Argentines. Having slogged it out in Spain’s amateur divisions playing for minuscule clubs, Recreativo would come calling in 2012, followed by a two year spell with Danish side Brondby. The 2015/16 season is where Szymanowski would make his bow for Leganés. This move would become a match made in heaven as Szymanowski would prove to be an essential cog in their promotion campaign, with a career best of 12 league goals. Fast forward to the beginning of this season, and Mantovani would proudly lead his side out as the club’s first ever top flight captain, when Leganés would travel to Galicia to play Celta Vigo. A comfortable win for Celta, right? Wrong. On the ground where Barcelona lost 4-1 last season and 4-3 this season, Leganés would triumph against the odds, 1-0, thanks to a Victor Diaz winner in the 75th minute. Game number 2? Just the small matter of a Madrid derby, Atletico were coming to the Butarque and probably needed a Sat Nav to find the ground. 0-0 it would finish, restricting Los Rojiblancos to just a handful of chances. After the game Antoine Griezmann would state that if Atleti carried on playing like this they would be in a battle to avoid relegation. A slightly dramatic statement, clearly not happy with dropping points at their barely known neighbours. Have Leganés just taken up the role of Madrid’s noisy neighbours? 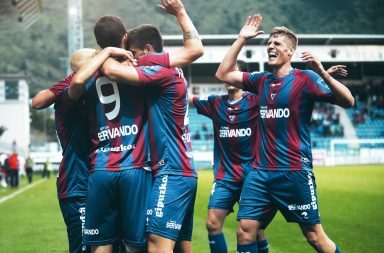 The Pepineros would lose in Asturias, against Sporting Gijon, falling to a 2-1 defeat. Home defeats to Barcelona and Valencia have been largely forgotten about, as it is on the road were Leganés have started to look formidable. 2-1 and 1-0 victories at Deportivo La Coruna and Granada see them sit in 11th position in the table, with three wins from their first four away games. 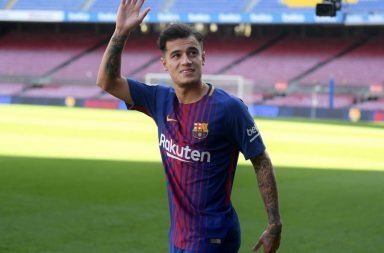 Ten points from their first seven games in La Liga, I think anyone associated with the club would have ripped your hand off for this start. Make no mistake about it, Leganés are more than capable of competing at this level and many teams have shown them the survival blueprint to follow. Just look at Eibar punching above their weight right now and even rivals Getafe, who enjoyed twelve seasons in Spain’s top flight. Whatever happens though throughout this season, everybody linked to this remarkable adventure that CD Leganés are on should be proud. For years they were playing in the doldrums of Spanish football, now they are standing toe to toe with European giants. May the spirit of the Cucumber Growers live on.